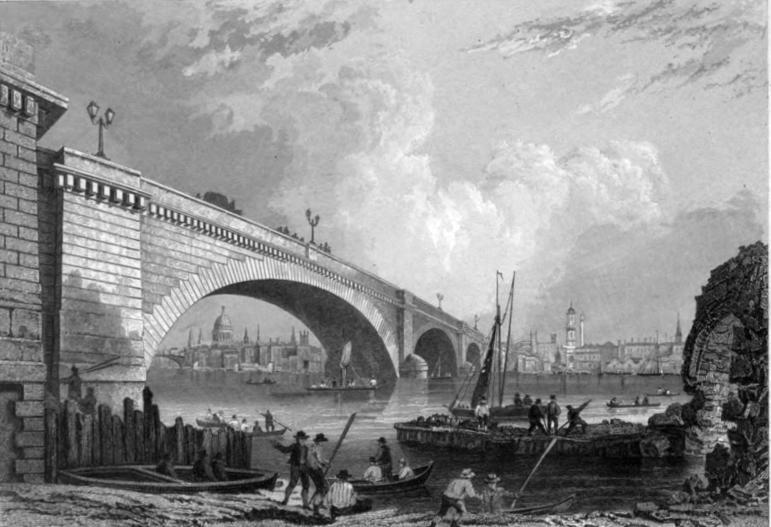 "London Bridge" from "80 Picturesque Views of the Thames and Medway"
Fearnside, W. G. Eighty Picturesque Views of the Thames and Medway, Engraved on Steel by the First Artists. London: Black and Armstrong, [n.d. after 1837]. Internet Archive version of a copy in the University of California at Berkley Library. Web. 30 March 2012.